Even though I have a fulfilling, busy, and amazing life in Bermuda, sometimes I find it difficult to live away from my family. I miss my kids. I miss my sisters. I miss my longtime friends. When those feelings get particularly strong and develop into a kind of malaise, I peruse the Air Canada and Westjet websites for seat sales. If I find a cheap flight I’ll book it. 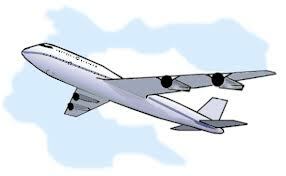 A flight to Toronto takes less than three hours so it’s an easy trip to make. In late September, I was hit with a yearning to see my loved ones. It had been close to three months since I’d been back in Ontario, three months since I’d hugged my daughter and sons, three months since I’d laughed with my sisters, three months since I’d yakked with my friends. Of course we connect through FaceTime and Skype, phone, email, and texting, but none of those substitute for physical contact. So I checked the airline websites. To my dismay, there wasn’t a seat sale until November, so I had to defer the satisfying of my longing and booked flights for six weeks ahead. I filled those six weeks with writing, and meetings, and volunteering, and golfing, and visiting, and walking, and painting, and snorkelling, and playing piano, and reading, and…eventually the days were crossed off my calendar and the date of my flight arrived. For this past week I’ve been in Canada, having flown in last Thursday, and will return to Bermuda tomorrow. I have hugged my kids, eaten meals and played cards with them. I’ve shared wine and food with my friends. I’ve had sleepovers with my sisters. I’ve been replenished. And am ready to go home. If you’re like me, you put on tunes while you do various tasks. My iPod has playlists for housework, driving, singing, exercising…well, you get the idea. Recently a friend told me about an app for my iPad called Songza, which allows me to choose a style of music for whatever I’m involved with at the moment. It has introduced me to many songs I had never heard of. 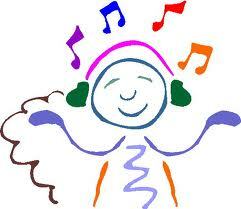 Music makes chores go faster, pumps me up or soothes me, reflects my mood, and helps me work through emotional issues. I sing along to songs, conduct symphonies, and really listen to Bach. I can’t imagine life without a soundtrack. However, one thing I cannot do while listening to music is write fiction. It’s not that I don’t undertake cerebral activities while music is playing. I can edit with melodies in the background, or answer emails, or pay bills, even write this blog, all while Van Morrison sings in my ear or Mendelssohn brightens the room. However, as a trained musician, I can’t help but engage in music when it’s playing. Seldom can I hear a song without actively listening to it. While I’m in a character’s head and manipulating a plot, I need to have my whole mind focusing on the task. I need to completely immerse myself into the mind of that character, and when music is on and I am trying to write, my brain is only half focused on either of them. I have writer friends who choose different kinds of music for writing various parts of their novel, like a Beethoven symphony to begin the first chapter, or Jimmy Hendrix when they need to murder someone, or Supertramp when they’re writing a happy scene. Other authors I know select a style of music for each of their characters, so they play that in the background when they’re working on a scene in which that character plays a strong role. One of my friends likes to listen to minimalistic music, like Philip Glass, in order to override any external distractions. I like those approaches and they make sense to me. Set the mood of the scene with a song, characterize a person with a style of music, lull your mind with soft notes to block out interference. So, despite previous unsuccessful attempts at writing while music played in the background, I one day decided to fill the silence in the room with Mozart sonatas. The scene I was working on had my main character, Lydia, reflecting on her choices and come to a decision about her next step. Mozart seemed to me to be the perfect accompaniment. Plus, the sonatas are not very intrusive on my brain. I’m familiar with all of them, have played through many of them, so I figured they’d be a safe soundtrack for my work. Nope. As soon as K333 in B-flat came on, my ears perked up. I listened for the pianist’s nuances and analyzed how he handled the grace notes. I know that sonata so well that I just had to go to the piano and play along with Christoph Eschenbach. So much for Lydia and her decision. So now I once again write my novels in silence. Well, I took that on as a challenge. In January of 2010, I decided that I would attempt to swim in the ocean every month of the year. I stayed on track for ten months, and then in October of that year I broke my ankle. That derailed me for 2010 and 2011, because I wasn’t walking properly until the following February. 2012 dawned cold, but I didn’t let it deter me. A new year, a new twelve months. In January I braved the chilly waters and went in for a swim. Every month after that through October, I’ve been in the ocean. The winter months were not especially fun, and people who were walking along the beach in their jackets looked at me as if I was crazy. But I did it. Two weeks ago, November 1st arrived and the weather was grey, rainy, and gusty. Not at all weather to compel one to go for a swim. You remember Sandy? Although Bermuda was not hit by the hurricane, we did feel its effects. So the November days passed until two weeks went by and I still did not go to the beach. Last Friday, however, the sun was out. It was a beautiful day. That week’s art group was hosted by a friend who lived on a property with a little private beach. After we finished our painting session, I announced that I was going for a swim. “Why?” a fellow artist asked. “Because I’ve set a goal to swim in the ocean every month of the year,” I replied. “But what for?” She was clearly puzzled. What for indeed? I believe that setting goals for ourselves helps us to grow. They challenge us, develop our self-discipline, and help us to be the best we can be. 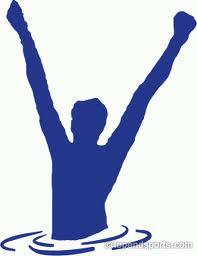 Achieving our objectives gives us a sense of accomplishment and builds self-esteem. We owe it to ourselves to live the best life we can, and striving to attain goals that we set keeps us heading in that direction. I went for my November swim in the ocean last Friday. My friend, Lynne, joined me. When we first stepped in the water we both flinched at the cold that penetrated our feet, but we took it slow, acclimatized our skin to the chill, and soon we were immersed and enjoying our swim. It was glorious. So now I am eleven for eleven. One more month to go. I hope we have a warm spell in December! Recently I watched a movie called Thief, starring James Caan. It told the story of an ex-con who is a master safe cracker and whose goal is to have a normal life with a wife, kids, and house. He takes on one last job to collect enough money to acquire this, and inadvertently gets caught up with the mob who try to control him. The movie was intriguing and the characters compelling, however I did not find one of them likeable, not even the main character Frank. After the film was over, I pondered how I could have spent over two hours with characters I did not like. What was it about Frank that had me rooting for him? This is not the first time I have asked myself this. For a while I was hooked on the television program Mad Men, and after the first season I felt the same way. I did not find any of the characters likeable. Yet I returned to watch the second season because I had connected with these characters and wanted to know what happened to them. In novels, too, there are important characters who are unlikeable. Take for example, Holden Caulfield in Catcher in the Rye or Gollum/Sméagol from Lord of the Rings. While we might not like them, we at times find ourselves cheering them on. As writers we are advised to ensure that our protagonist is likeable, so that the reader wants to continue reading about him or her. If they do not emotionally invest in the main character, they’ll throw the book aside, we are told. How, then, can we explain our support of unlikeable characters? Perhaps we authors don’t need to make them likeable so much as relate-able. If we place them in circumstances where the reader can empathize with them, or get the reader to know them so well that sympathy will prevail because of their human qualities and foibles, then the reader doesn’t have to like them. They merely need to connect with them on some level, and invest in a desire to know what happens to them. It all boils down to good writing. Effective use of point-of-view, compelling characterization, captivating plot, and spellbinding descriptions will get a reader invested in the lives of the people and their story. Good writing will keep them reading, even if they don’t particularly like the characters. The other day I was about to enter our bathroom when I was startled by a little lizard, staring up at me in the middle of the room. I screamed aloud, even though there was no one home to hear me. 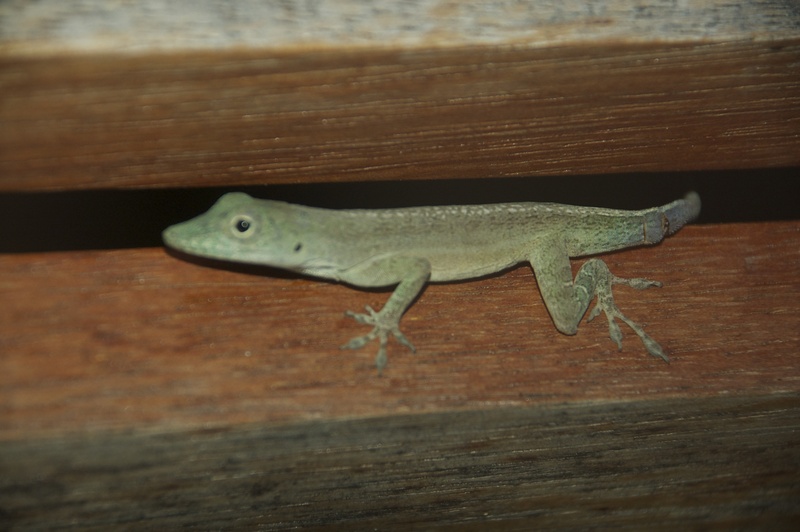 Now, I am not afraid of these little anoles. We have an abundance of them outside, scurrying around our patio, and mostly I think they’re cute. Certainly they’re harmless. But I did not expect to see one in our bathroom and I didn’t like him there. He belonged outside. After I got over my initial panic, I had to figure out how to catch him so I could put him back outdoors. He was longer than the average lizard we see, about 4 inches from nose to the tip of its tail. And, no doubt about it, he was cute. I grabbed a plastic cup and approached, thinking I’d cover him and then slide something flat under him and carry him away contained in that manner. But he was too fast. As soon as I got close to him, he scurried behind the toilet. Talk about an awkward place to catch a lizard! In addition, he was too long to fit under the cup and I didn’t want to hurt – or break – his tail. My plan having failed, I was somewhat flustered. I do have an affinity for the critters, but I am squeamish about touching them and would never even consider picking one up. I returned to the bathroom to check on the lizard. He had once again come out to the centre of the room. We stared at each other as I pondered how to catch him. Then the phone rang. It was my friend Nancy, who commiserated and proceeded to give me advice on how I might trap the lizard. I didn’t use her ideas, but talking to her somehow made me buck up my courage. I fetched an oblong Ziploc container and lid from the kitchen. As soon as I stepped into the room, he scurried off again, this time in the corner behind the laundry hamper. I quickly lowered the container over him, but he scampered away just as it touched the floor. Again, even quicker this time, I lowered the container over him. This time I caught him! I slid the lid under him and ran to the patio door, opened the screen and threw him outside, container and all. Believe me, if the capture and release had been videotaped, it would have been good for a laugh. On the patio stones, the cute little lizard stood and stared at me, now green instead of brown. “Go off,” I said to him. “You’re free.” And off he went, to the shelter of his familiar trees. I sighed in satisfaction and went back inside. The title of this blog is “Uninvited Visitors” plural. That “s” is not a typo. Two days later, as I walked across the living room, another anole startled me. Again I screamed aloud. This little guy was much smaller than the previous one and was more frightened of me. At my scream he immediately ran under the couch. This time I reacted quicker. I opened the patio door, pulled the couch away from the wall and chased him. He ran toward the door. “Success,” I thought. “He’ll be outside in no time.” But instead of running straight through to outside, he went up the corner of the wall, and disappeared behind the curtains. No matter how hard I looked, I could not find him. Leaving the door open, I replaced the couch and straightened the room, hoping he’d get outside on his own. But eventually I had to close the screen. Who wants more lizards in the house? I have not seen him again. My hope is that he did make it outside when I wasn’t looking. Otherwise I might soon be surprised by a lizard in the house again! My main answer to the question is that I write on my computer. I have forgone the pen and notebook in favour of typing away on keys. I find I can type so much faster than writing with a pen. There are times when my thoughts bubble over in my brain and I am much more efficient in recording them when I use the computer. But I know that’s not what the people want to know. I suspect they’re asking about whether I prefer to write in a confined or open space, quiet or noisy, alone or with people, on a desk, table or lap, in a tidy or messy environment. The beauty of having a laptop is that I can write anywhere. And I have tried many different places. Sometimes I sit on the recliner chair with my computer on my lap, having my back and shoulders comfortably supported as I work. And sometimes I like to work in a coffee shop, surrounded by ambient noise and people that provide a backdrop to my ideas. However, I have discovered that I am most productive, most creative, and most successful when I sit at my desk in a quiet room. It has taken a bit of tweaking to arrange my workspace such that I can sit for several hours in comfort and with little distraction. For a while I suffered from shoulder and neck pain, and realized it was because my posture and screen height were all wrong. Ergonomics are important! For my birthday, I received a wonderful new desk chair, adjusted to the right height and with lumbar support, and I have set my computer so that I can read the screen through the bifocals in my glasses without bending my neck at odd angles. Much better. Recently I changed the location of my desk. It used to be beside the doors leading to our patio, through which the view of the azure ocean beckons. Talk about distraction! I would spend more time watching the boats on the water than producing words on the screen. Now my desk is in a corner where I have to physically get up and move to look outside. While the view isn’t as pretty (although I’ve hung pretty things on the wall), it is much more conducive to achieving my word count. 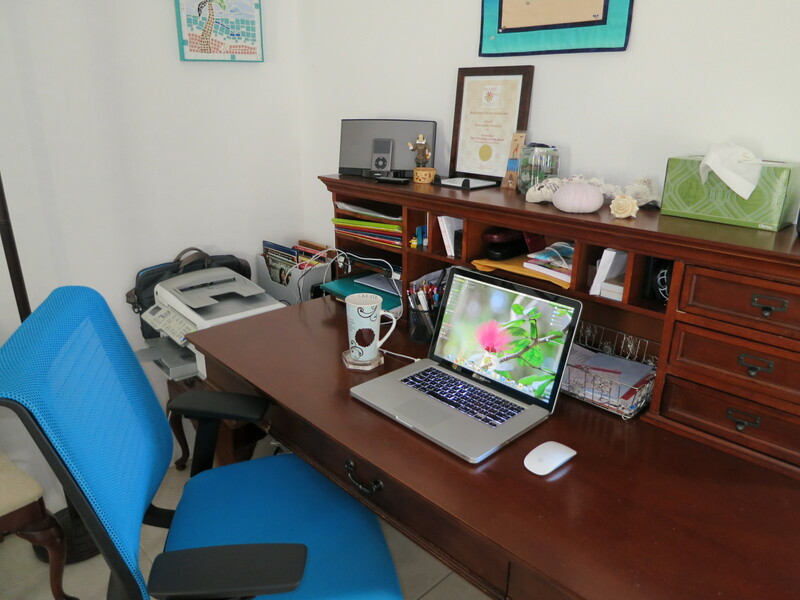 One more thing – my desk is always tidy before I can get to work. If I’m surrounded by clutter, I feel the need to eliminate it, and thus would not be writing. Oh, and I almost always have a mug of tea beside the computer. You can see my writing space on the photo above. What do you think? Does it look like a writer’s desk? Last week, my son stayed with us for a week. Our kids love visiting us, because it means they take a trip to Bermuda. They all delight in swimming in the turquoise waters and soaking up the sun. Oh, and of course, they enjoy spending time with Mom and Dad. At least, that’s what they tell us. We had a wonderful week with our son. I baked his favourite cookies, we played cards and talked. Despite the blustery weather that Hurricane Sandy tossed our way, we went snorkelling and kayaking and walking. At the end of his visit, I was sad to say good-bye, as I always am when I take leave of my adult kids. That’s part of parenting, isn’t it? Letting go? So much of our lives were focused on raising them, and then they become independent adults and we are no longer a daily part of one another’s lives. It’s as it should be. Root’s and wings; that’s what we parents need to bestow upon our children. I was pondering this shifting of the parent-child relationship as I washed the sheets and towels and tidied the guest room, in essence eradicating my son’s presence and readying the room for the next visitor. We do our best with our kids before sending them off into the world, but at some point they go out on their own to forge the rest of their lives. And we simply watch. If we’re lucky, they might ask our advice, but for the most part we’ve contributed what we can and the rest is up to them. It occurs to me that it is not dissimilar to the writing of books. We authors give birth to our stories, mold them, live with them, and at some point we send them off into the world and watch to see what happens. Just like our desires for our children, we hope our books are successful. However, while I am finished with having children, I have only just begun with birthing books. And my kids, wonderful people that they are, cheer me on.